Michaela, I know you could be anywhere in the world. But I have had some leads suggesting that you are in the United Arab Emirates. If you are, and you want to know how to get help, here it is. The U.S. embassies in the UAE have been notified by the National Center for Missing and Exploited Children that you could be there. You can call them or go to them, or email them, and they will help you. Or you e-mail me, or call me. Wherever you are in the world, you can e-mail me at sharon.murch@gmail.com, or you can call me. If you are outside the United States, you can reach this phone number by dialing 00-1-510-701-5449. If you are inside the United States, just call 510-701-5449. (Once again, this phone number is ONLY for Michaela or for someone with immediate and actual information on her whereabouts. Any other leads can be e-mailed or you can call our detective at 1-800-222-3999). Anywhere in the United States you can dial 911. If you have an Emergency that threatens the health or safety of a U.S. citizen in Abu Dhabi, please call +971-2-414-2200. In Dubai or the northern Emirates, please call +971-4-309-4000. For medical emergencies, call the local emergency number immediately - 999. Please review the section on Emergency Services for U.S. Citizens for information regarding the arrest, death or emergency involving a U.S. Citizen. Please review the information on our website carefully. If you are unable to find an answer regarding your American citizen services question on our website, you may contact us by email. We regret we cannot respond to e-mail inquiries that are answered by information on our website. 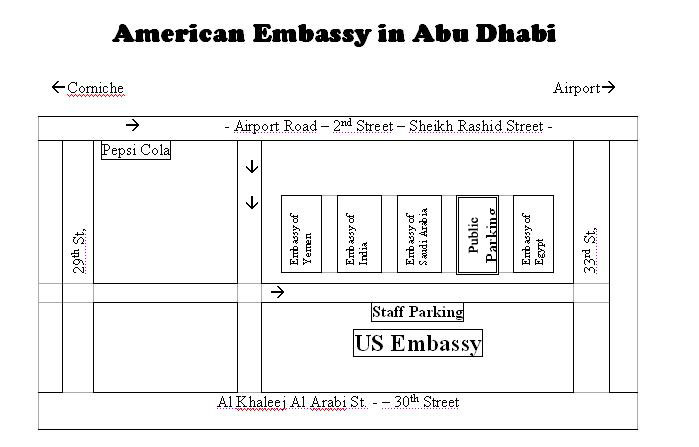 The U.S. Embassy in Abu Dhabi is located in the Embassies District, Plot 38, Sector W59-02, Street No. 4. The following location will give you amap to the Embassy. Please review the information on the US Consulate General in Dubai website carefully. If you are unable to find an answer regarding your American citizen services question on their website, you may contact them by email. 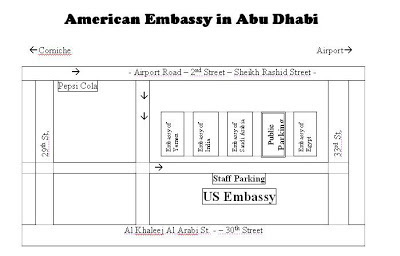 The U.S. Consulate General in Dubai is located at the corner of Al Seef Rd. and Sheikh Khalifa bin Zayed Rd. 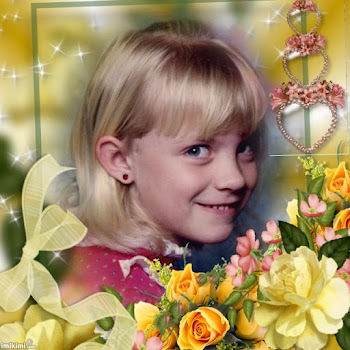 I love you, Michaela, always and forever. I'm waiting to hear those words, "I am Michaela Garecht." Wonderful idea, Sharon! Something just occurred to me, though. I'm not sure if it makes much sense, but here I go. Michaela was only nine when she was kidnapped, and if she has been isolated this entire time, whether in the USA or in the UAE, isn't it possible she has forgotten how to read? Or if she's in the UAE, English at least? What if you made a simple video recording with subtitles of you reading off the information on this page? If you're interested in this, I'd be more than happy to help you if needed. My other idea was translating this page into other languages, like you did on the sidebar with other information. Just some ideas I had. Hmm, can you forget how to read? Isn't it like riding a bicycle? And if you have spoken a language for the first ten or more years of your life, can you forget it? I will think about these things. Getting translations proved to be extremely difficult, by the way. 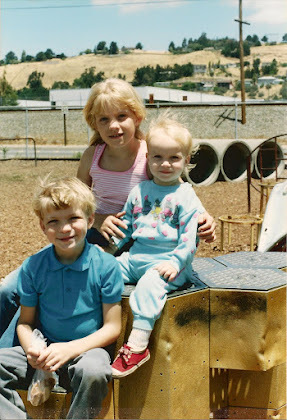 I am a 32 year old woman who lived her childhood in L.A from 2 years old to 11 years old. My parents are mexican so I learned English and Spanish. 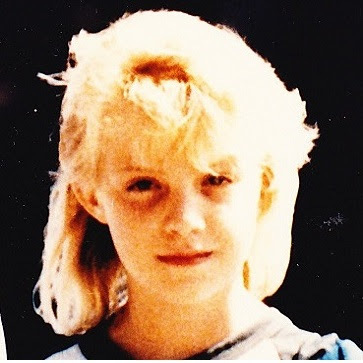 At age 11 we moved back to Mexico and ever since then my life has been completely in Spanish. I never forgot English, how to speak it or write it. As you can see I follow your blog and I make comments in perfect English. If Michaela is still out there in the world somewhere make no mistake in thinking she forgot her native language. She may be bilingual but English will always be her first language. And I want to add, Sharon God bless you, I know this is a tough time for you and your family. I know this is an old post, but I speak, read, and write Arabic fluently so I am always willing to do some translation for you whenever you need it ! This is great Sharon! I dont think you missed a step with this! Every base was covered, and if Michaela is indeed in the UAE and looking for herself on the internet, she now has valuable information. Pls re-write a new blog entry to let Michaela know that if she gets intouch with the embassy, they will be very professional and careful and its not very likey she will get hurt. I'm crossing my fingers for you and Michaela. Now that we're suspecting she might be looking for herself on the internet, this is the time to reiterate how she can reach you, steps she can take, how she will be fine, etc. Because I believe the bad people would have brainwashed her and planted lots of fear into her. Now, more than ever is the time to blog more. I am Frederick from Brunei which is half around the world. Recently I just saw the news on Yahoo! 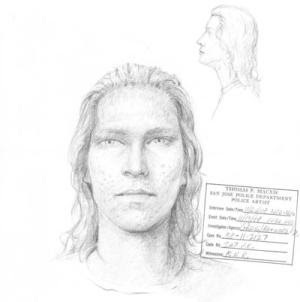 about recent Cleveland kidnapper. 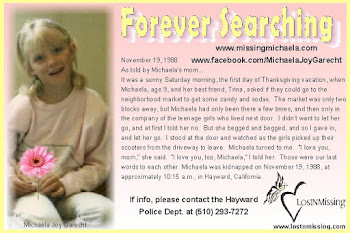 Then I remember i read about Jaycee Lee Dugard on Wikipedia then on the "See Also" page, I found "Michaela Garecht" page and start reading which brought me here. 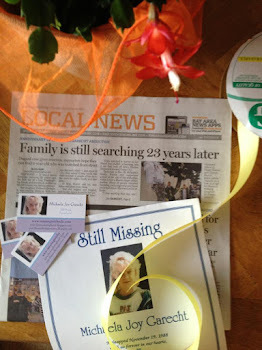 I hope you are doing well and I hope one day I open news I can read the headline "Missing daughter since 1988 found & reunited with her mother". I know I may not be able to help you search since I am really far away. But starting today, Michaela Garecht will always be in my mind. I translated your contact info (the ones posted on the right side of this same blog) in my native language, Italian. I'm really sorry I can't be more help, but I really wanted to leave a small contribute. "Micahela è stata rapita all'età di nove anni nel 1988. Io sono sua madre e la sto cercando. Se avete informazioni circa dove possa essere, per favore contattatemi a questo indirizzo: amissingmichaela@gmail.com. I Live in UAE exactly in Abu Dhabi and i will do my best to spread the word in every forum and social network i know both in English and Arabic. Hope Micahela is safe and wish she return home soon. Stay strong and never lose hope God is great. 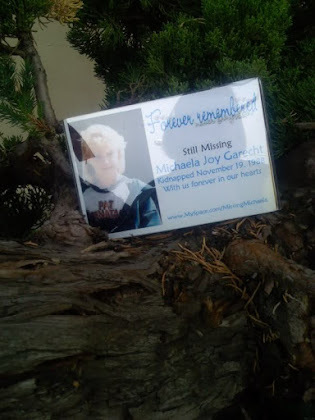 May God Bless you and your Family, and May God protect Micahela and guide her home. I ha seen the link to this page in I rums, but the correct link is just www.dearmichaela.com. This is only one of the pages in the main blog. Thanks for helping to spread the word. Sorry, I am going to have to stop trying to post from mobile devices. I could barely make out what that is supposed to say myself! That should say, "I have seen the link to this page in forums, but the correct link is just www.dearmichaela.com." Thanks! I am in the UAE and will share this on FB too. However, what leads do you have that she may be here? To be in the UAE everyone who is not Emirati has to supply enormous amounts of proof of identity papers. They all must be attested by your home government as originals. Adopted children cannot be sponsored by adoptive parents. It a strict complicated mix that I feel would make the UAE an unlikely hideout. Human trafficking is pretty big in the UAE, and those who are trafficked there are slaves, brought in and kept in illegally. I am. I am not suggesting that she moved there and became a legal resident. She also was not kidnapped to become an adopted child of a nice family. In order to understand what we are talking about, try googling Amanda Berry or Jaycee Dugard. Kidnapped women and children live in a hidden world. As for why I think she may be in the UAE, I have received leads from Russia, Washington state here in the US, and Iran saying that she is there. If you look in the right hand column of the blog you can see a box called Labels, and I believe you will see a label called UAE which will tell you about one of the leads we have. I am sure that the UAE is a wonderful place. But if you google human trafficking in the UAE you will see that it is a big thing there. Even the loveliest of places has another side, dark and hidden ... obviously in the United States as well. To Angelica, lets remember Michaela was kidnapped. It's not AS IF she & her bilingual family moved from the USA to another Country. I remember a well documented case of a child in America who spoke, wrote and read ONLY English the first few years of his life before being kidnapped and held for five years. 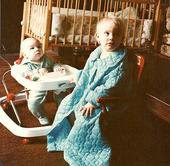 When he was recovered and returned home to his mother he went through a slew of medical testing. However he did not speak during any of it. His mother was told "Don't worry. None of us know the extent of what he has been threw when he is ready, he will tell us." He was placed back into public school. After a few weeks kids as well as teachers and adults at the school started calling him "Monkey Boy" because he behaved like a wild animal. The school had his mother take him a place the school system recommended to get tested. The child had been physically, emotionally and sexually abused for YEARS as a result he could no longer could read or write an ANY language. Even the ONLY language he knew for the first "X" number of years before he was kidnapped. 50/50 chance she remembers her naive language. 50/50 chance she doesn't remember that your anything else about her life. Sharon, I can not begin to imagine what you have been through. I pray on day you and your family gets answers. If she had been younger, that might have been true. But she was almost ten. Here is the translation in Romanian, coming from a desire to help. Michaela, dacă citeşti acest mesaj, stii că te iubesc foarte mult, si te iubesc în continuare. Nu conteaza ce se întâmplă. Te rog, vino acasă.